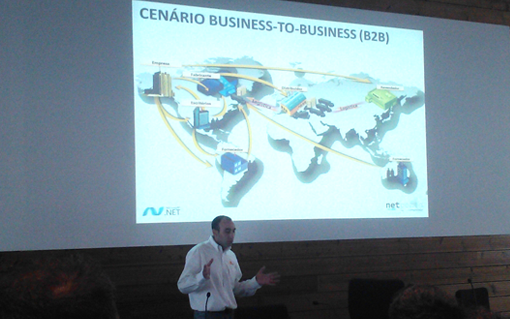 On last Saturday 24th, another NetPonto gathering took place in Lisboa. Sandro Pereira was invited to share his experience in a session dedicated to message transformations in EAI (Enterprise Application Integration) and B2B (Business-to-Business) scenarios using Biztalk. BizTalk Mapper Designer, an Integrated Development Environment, was the main course for the session and attendees had a change to learn how this enables the design and maintenance complex rules in structured electronic messages. This session was designed to help fellow developers understand why and how this platform was designed, explaining some of its principles and basic functionality: what can we do with them, where we can use them and how they work internally. Also this event included interventions of several community members and some other Microsoft Most Valuable Professionals. Check for more event details here.